The time has come for another amazing and unique InterNations Milan Party!! 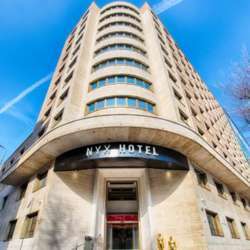 Let's meet on Thursday, 16th of May at this elegant Hotel just a few steps from Central station. Come to meet new and old members. It will be a unique international Get-Together evening full of Colors, Fun and Networking!